Frequently Asked Questions About Tumescent Liposculpture The Following questions are frequently asked regarding Tumescent liposculpture .The answers provided are general ones. More specific answers are tailored to the patients needs and can be answered at a consultation . Q. What is the purpose of Tumescent liposculpture? A. We are all victims of our own heredity. As we age we tend to develop hereditary areas of localised body fat that do not respond to diet and exercise .The common problem areas in woman include the lower abdomen, upper outer thighs, upper inner thighs, hips, waist, buttocks, inner knees ,arms and neck. (love-handles), breasts, and neck. Tumescent liposculpture allows correction of these problem areas safely and effectively under local anesthesia. Q. How safe is Tumescent liposculpture? A. Tumescent liposculpture is the safest method of liposuction available. In 1995, the American society for dermatologic surgery published national survey data on 15,336 patients who had undergone Tumescent Liposculpture. the study was reported in the medical journal Dermatologic surgery (Hanke CW , Bernstein G, Bullock ,S, “Safety of Tumescent Liposculpture in 15,336 patients.” dermatol surg 1995; 21:459-462). The study reported no admissions to the hospital for treatment of complications and no blood transfusions in any of the patients. The complications that were reported were minor and infrequent. An additional study involving 66,370 patients was published in 2002 (Houseman et al. The safety of 66.370 patients was published in 2002) (Houseman et al. the safety of 978). No fatalities were reported and complications were infrequent. In conclusion, Tumescent liposculpture has a strong safety record . Q. Will I need pre –operative blood tests and a physical exam? Q. Will I have pain? A. There is minimal, if any, discomfort during administration of The Tumescent local anesthesia. patients usually listen to music or talk with the nursing personnel during this time. 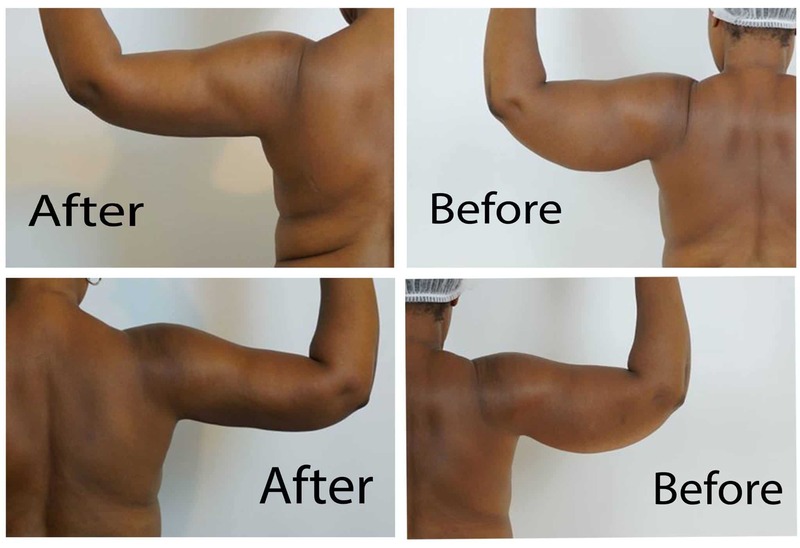 During the liposculpture procedure itself, the patient experiences virtually no pain. Many patients have compared the experience to a deep massage. The Tumescent local anesthesia keeps the patient. comfortable for 18-24 hours after Tumescent liposculpture. Mild oral pain medications are sometimes utilized for several days. slight soreness of the surgical site is present for one to two weeks after Tumescent liposculpture. Q. Will I receive any sedatives? Q. How many tiny incisions are necessary? A. Generally two to three, one-eighth incisions are required to treat a given body area .Most incisions are small and don’t require sutures . Q. What inconveniences can I expect Following the procedure? A. The Tumescent anesthetic fluid leaks from the tiny incisions for 18 hours Following the procedure. This is a bother ,but is only temporary . Q. What instructions will receive before Tumescent liposculpture ? A. Written and oral instructions are provided in advance of the procedure. Q. How many days of work will I miss? A. Most patients return to work in a week .Many patients have Tumescent liposculpture on Thursday or Friday and return to work on Monday . Q. What medicines will be prescribed for me after Tumedcent liposculpture? A. ALL patients receive pre-operative and post –operative antibiotics in order to minimize any chance for infection .All patients are given a prescription for a mild pain medicine, but less than half of them ever use it . Q. How soon after Tumescent liposculpture can I take a shower? A. You may shower one day following Tumescent liposculpture, but tub baths should be avoided for one week .Hot baths may increase swelling. Q. How long will I need to wear the compression garment? A. patients wear a comfortable compression garment under their clothing 24 hours a day for the two weeks following Tumescent liposculpture. They wear the garment for 12 hours a day for two additional weeks .patients should not wear the garment beyond four weeks unless required by the physician . Q. Will I be bruised? A. Most people Know how easily bruise .Same patients have a tendency to bruise easily .Some patients have no visible bruising at all following Tumescent liposculpture If bruising occurs ,it will resolve in two to three weeks .In general ,bruising following Tumescent liposculpture is minimal compared to "old-style" Liposuction . Q. What possible complications may occur? A. The complications following Tumescent liposculpture are minor and infrequent Blood loss is minimal, so blood transfusions are unnecessary ,unlike traditional liposuction under general anesthesia. A slight amount of bruising is common .Minor soreness of The treated area may last for several weeks .Infections and major complications are extremely rare .Occasionally skin irregularities may occur ,especially in older patients who may have poor skin elasticity . Q. When can I resume exercise? A. Walking can be started on the day following surgery .stretching and light weights may be used within a few days. Heavy aerobic type exercise should be avoided for 7 days depending on the body areas treated and the physician’s advice . Q. How long before sexual activities may be resumed? A. Usually a day or two, but your body will tell you. Q. How long will it be before I can see a noticeable improvement? A.A small number of patients observe that their clothes fit more loosely within a few days Many patients notice some improvement within one to four weeks .The final result is not apparent for six months or more . Q. Will I have scars? A. The tiny incisions are hidden in skin folds and other inconspicuous areas. They eventually become unnoticeable in most patients. Q. What about alcohol consumption and smoking following Tumescent liposculpture? A. One drink per day probably will have no adverse effect after the first postoperative day. Smoking, of course, interferes with healing after any surgery . Q. If I gain weight following Tumescent liposculpture, will I gain in the areas that were treated? A. The fat cells are permanently removed during Tumescent liposculpture therefore , the treated areas can never become as large as they would have been if Tumescent liposculpture had not been performed .However if you gain weight the fat must store somewhere .Therefore you should maintain your current weight or better yet loose weight after liposuction . Q. How much will liposuction cost? A. The cost for Tumescent liposculpture will vary depending upon the body areas treated ,the time involved ,and the experience of the physician . press here for cost of liposuction. There is no guarantee of specific results and that the results can vary.